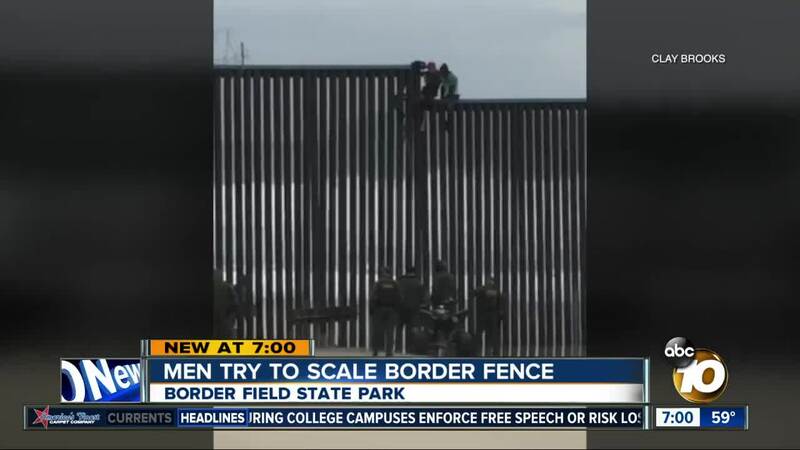 SAN DIEGO (KGTV) -- Several men tried to scale the border fence at Border Field State Park Thursday evening. Video shows the men sitting on top of the wall attempting to get over. Border Patrol responded and agents were able to break up the crowd on the Mexico side of the border. Following the incident, the agency said it is willing to add agents in the area as needed. According to Border Patrol officials, about 167 arrests are made per day at the San Diego sector of the border. Earlier in the week, dozens of migrants were caught on video climbing over the same section of the border fence. 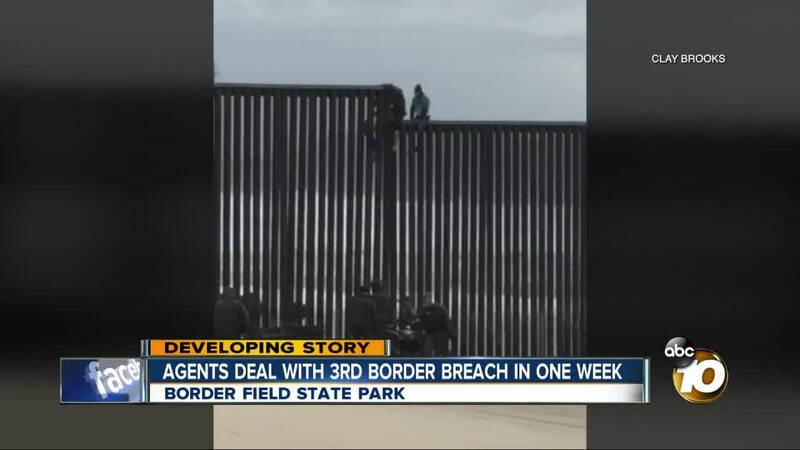 During that incident, several people successfully made it over the fence and onto the beach on the U.S. side of the border before being apprehended by agents. A total of 24 people, 18 men and six women, were taken into custody. According to Border Patrol, 23 of the people who crossed the border illegally were from Honduras while the 24th person was from Guatemala.